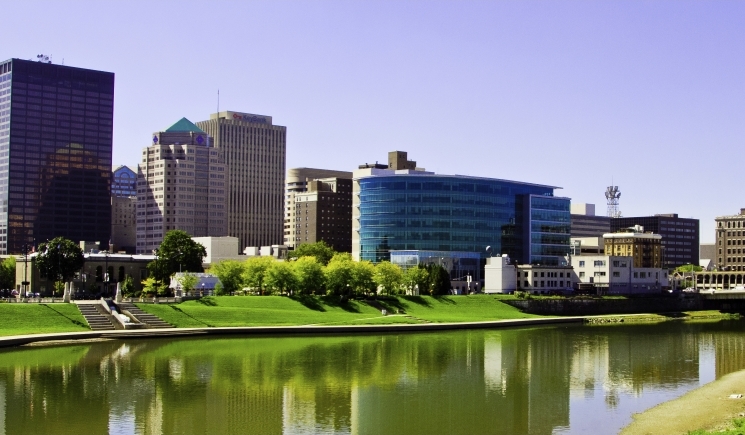 Dayton hosts one of the highest concentrations of technical experts in the world, and our attorneys are experienced at meeting innovators’ specialized needs. The city, home of Wright-Patterson Air Force Base, is expanding opportunities for research and development in industrial, aeronautical and other fields. The area also has a growing health care network that’s becoming one of the region’s largest employers. Since 1987, our attorneys have provided services in areas essential to the growth of the city’s businesses and industries, including intellectual property, real estate, product liability, international business, and corporate and transactional matters. Parking for our office is located in the Fifth Third Parking Garage. The entrance is on Ludlow, between 3rd and 4th Streets. To get to the building, please take the 2nd floor walkway to the building elevators and go to the 12th floor lobby reception.